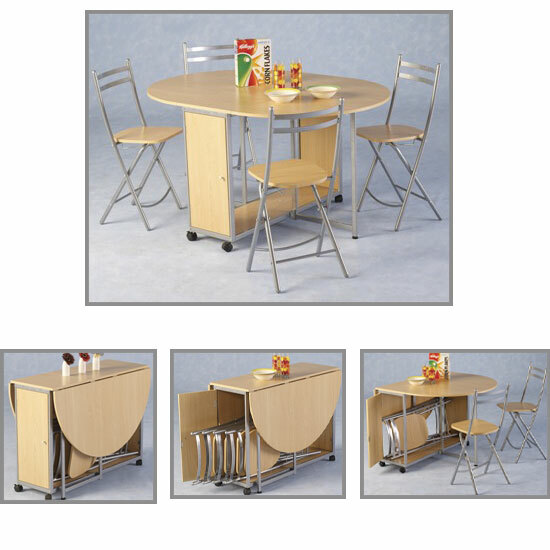 Looking for kitchen tables and chairs for sale is a nice idea. Usually, it is possible to find some great models at significantly reduced prices. However, you should not forget that the chances of buying a lower quality product are quite high, too. This should definitely be avoided – by all means possible. After all, saving money on quality will only lead to regular furniture replacement, which in the long run is not at all profitable. So, you should better keep a clear head while shopping and choose higher quality items whenever you can. In the long run, it would be much better to invest into a solid furniture piece once and enjoy great functionality for many years. Material quality is the first thing you should start your evaluation with. The higher the material quality is – the higher are the chances that both table and chairs will serve you for a long time. You will probably see a lot of low quality plastic kitchen tables and chairs for sale, but choosing this kind of material is hardly ever wise – instead, look for something natural – like wood , or MDF at least. Build and assembly quality may be even more important than the material. Unless you like sitting on rocky chairs and using shaky tables, you should look for kitchen tables and chairs that are properly fixed and built. Another important aspect to consider is how easy it is going to be to maintain your kitchen set. It would be impossible to argue that kitchen can get really messy from time to time, so it is crucial to look for furniture solutions that a) would be easy to clean; and b) would ideally have the kind of surface where the mess does not catch the eye. Finally, you should not buy kitchen tables and chairs for sale unless they fully match your interior. Sure, getting a high quality, affordable set is a very tempting opportunity, but you should make sure that neither the table, nor the chairs look inappropriate in your kitchen. Just to be certain that you are making the right choice, make a quick comparison check in other stores. All in all, if you manage to keep a clear head while searching for kitchen tables and chairs for sale, you will probably manage to find something that meets your quality and design expectations. Another great tip is to start searching in big stores – as a rule, they introduces sales and discounts more often than the smaller ones. Plus, chances are that the selection will be quite bigger, too. In the UK, a great platform to start would be Furniture in Fashion . Given that it is one of the biggest e-commerce stores in the country, it is quite likely that you will not have to search further.